James Devlin was the son of Henry and Mary Devlin. James was born in Moneymore, about 1897. The family moved to Scotland. James Devlin enlisted in Glasgow. Private James Devlin was serving with the 2nd Battalion of the Cameronians (Scottish Rifles) when he was killed in action in France on Tuesday 30th March 1915. 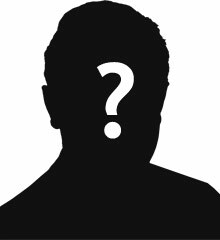 He was eighteen years old. 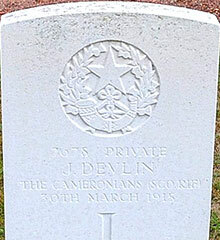 The CWGC record Private J Devlin as the son of Henry and Mary Devlin of 15 Union Place, Anderston, Glasgow. Bois-Grenier is a village in the department of the Nord, 3.5 kilometres south of Armentieres. The Communal Cemetery is at the southern end of the village. From the church take the D22 towards Fromelles/La Bassee.